Adam Kariv is a board member of Hasadna, “The Open Knowledge Workshop” and a project lead of “Taktziv Patuakh” (“Open Budget”). Anatoliy Bondarenko, is a co-founder of Texty, an awardwinning datajournalism outlet in Ukraine . Aviv Sharon is a volunteer at the Israeli non-profit Hasadna, “The Open Knowledge Workshop”. He writes materials for the public and plans educational projects.  Gisele Craveiro of the University of São Paulo, is a member of OKFN Brazil and one of the coordinators of GPoPAI (Research Group of Public Politics in Access to Information). Ian Makgill is Managing Director of Ticon. Ticon develops data suppression algorithms that can be used freely by Councils to suppress potential data breaches. J. Félix Ontañón, from OpenKratio is an IT consultant specialized in “opennes”. As a concened citized, he’s a member of the OKFN local group for Spain, founder of OpenKratio group, a citizen organisation advocating for spreading the principles of open government data, open data at Spain, and also a founder of “Digital Democracy for Andalusia” a federation of 15m-related workgroups formed as an instrument for contributing to the future Andalusian Citizen Participaction Act. His work on OpenKratio is related to budgets and transparency, and he has helped some Universities to publish their budgets in machine-readable formats, as well as provide comprehensive visualizations. He’s now working to build a machine-readable datasets with regional procurement data of Andalusia. Thodoris Papadopoulos is a developer and a member of OKFN Greece. Victoria Vlad, in an economic researcher at the Expert Grup, a think tank working on budgettransparency and open budgets.